Weight Loss Success: With a Program or On Your Own? 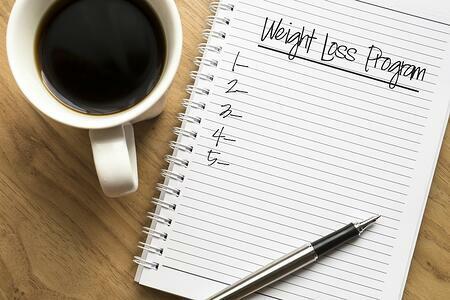 When you begin a weight loss program, do you like to go it alone or with support? Everyone is different, and for some a bit of information is all they need to get going on their own. The rest of us, however, can usually benefit from a proven program on the road to weight loss and better health. If you have been trying unsuccessfully to reach your weight loss goals by yourself, here are some of the reasons you may want to consider using a weight loss program to help you reach your goals. There is a lot of conflicting advice to be found out there. From the right diet to the right exercise program, it seems that everyone is an expert these days. And everyone’s advice is wildly different. Who do you trust? Your co-worker? Best friend? Bloggers and commenters on the internet? When you use a weight loss program that has a track record of success, you don’t have to decipher through mountains of conflicting information to discover what really works. You can trust the experts, physicians, and coaches who have already done that for you. A weight loss program can help you overcome the struggles you face with your diet by providing nutritional education, as well as providing easy-to-prepare, nutritious food that is perfectly proportioned to help you reach your goals. Imagine having your very own health coach available to you, ready to help you through your weight loss journey. Someone that can listen to your concerns and help you overcome conflict. To encourage and give you advice. Or maybe you would prefer to gather with a group of peers, and get the support and care of other people who are on the same journey as you. Having support can help inspire you, educate you, and encourage you to reach your goals and make permanent healthy lifestyle changes. Physical activity offers benefits to your health and wellbeing far beyond weight loss. A program can show you how to use exercise to maximize your weight loss, exercise properly, and incorporate more physical activity into your everyday routine. A proven weight loss program, such as the Healthy Solutions® program used at Milestone, is often the right choice because of its simplicity. When a program is easy to follow, offers support and coaching, and provides easy to prepare meals, it is easy to stick to. And success story after success story proves the results are undeniable. Simply put, the program that is easiest to stick to is the program that will have the best results. Weight loss is part of a journey to a healthier lifestyle. You don’t have to do it alone. You don’t have to figure it out by yourself.